In a country such as Italy where food is culture, experience, identity, pleasure and attention for the others, there is a company, Caffè Aiello, devoted with passion and industriousness to the selection of the most precious qualities of coffee, their perfect roasting, their careful packaging, their supply with an high level customer care and service. All these efforts in order to create a coffee with a refined, attractive, authentic, heady flavour. «Quality, innovation, and customer care permeate every production stage in our company», states Emilio Aiello, one of the owners. 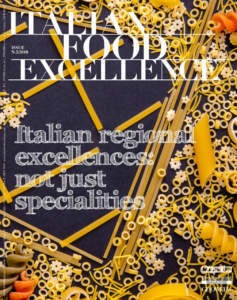 Productive Italy, that is able to excel in the home markets and not only in these ones thanks to the value added of its products and productive solutions, is emblematically represented at Rende (CS), in the headquarter of Caffè Aiello. 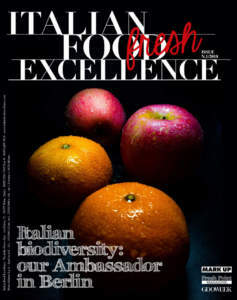 Through their product, the owners intend to talk about the land where it is produced, Calabria, and its history. Caffè Aiello boasts a totally made in Italy production, with the whole productive cycle - from production, to packaging, and consignment - carried out in the unique headquarter of Rende, with manpower who reside here, so developing satellite activities in the territory. The history of Caffè Aiello dates back to 1967, when it was born from the entrepreneurial spirit expressed by its founder, Gaetano, who in that year created ‘Industria Caffè Aiello Gaetano’, with the ambitious aim of realizing something new and important. His project continues today, on the way that the founder opened, in the activity performed by his sons Emilio and Guerino, and now by the ‘third generation’. They have been able «to keep lively and active the ‘code of values’ that has always characterized the managing of this company», as Emilio Aiello states. A lot of time passed, since when an ingenious boy who worked in some historical shops of his town, whose name was Gaetano Aiello, treasured the experience he had gained and, by means of an approach to marketing ahead of his time, supported by innate inventiveness and creativity, decided to realize an ambitious and courageous project. 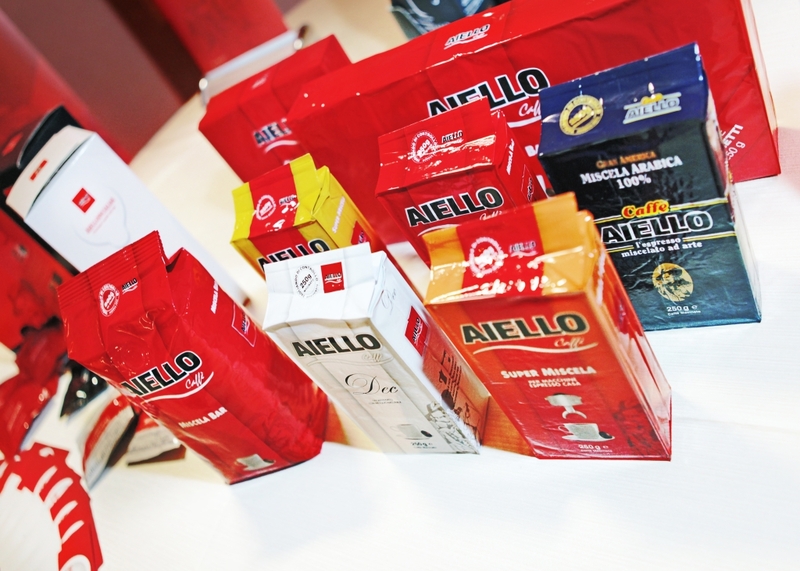 Caffè Aiello boasts the conquest of a wide share of the market. Thanks to its quality, it rises above its competitors, with a product that the experts of this field consider as one of the best as for quality and taste. Today the trademark Aiello, known and appreciated at home, reached other goals, exporting its products in Bulgaria, Canada, USA, some countries in which, as Aiello tells, «the company carves itself an interesting niche in the market». 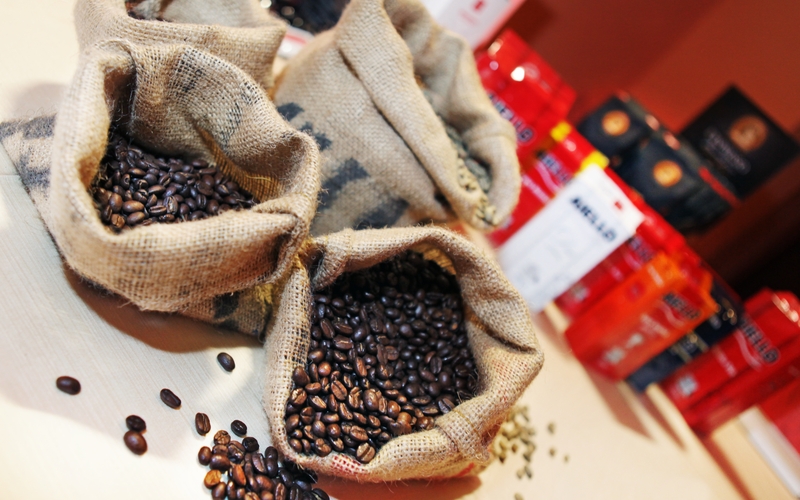 From India, where the most valuable selections of coffee are purchased, to Calabria, where coffee is roasted, to the whole Italy, up to Australia, the country where this trademark just arrived, the emblematic journey traced by the company boasts considerable data, with 1.000 affiliates in the field Hotel-Restaurant-Catering. The owner states that the quality of this coffee is very good. This is a result of passion, care, attention in every production stage, as well as search and rigorous selection of the most valuable qualities of coffee, directly imported from the best coffee-producing countries: Brazil, Central America, Central Africa, and India. Many factors rewarded this coffee: raw roasted coffee subjected to a tested roasting method able to keep the unique aroma of a high quality product; its vacuum packaging, for both coffee beans and ground product, in bags with a seal that guarantees the preservation of its organoleptic characteristics; elegant and refined packaging, that counts, among other ones, the gift line ‘Espresso Collection’: two metal boxes, one of which contains, besides coffee, two cups with an innovatory design; adoption of a Managing System for Quality according to the UNI EN ISO 9001:2000 rule, that is evidence of the continuous attention for both control and improvement of internal processes and customer satisfaction. All these factors rewarded and in time allowed Caffè Aiello to distinguish itself from its competitors and represent the best tradition of Italian espresso, across national borders, too, up to the land of kangaroos, with a plus: an efficient company strategy, a commercial structure able to guarantee a widespread distribution, modernity, and innovation in communication and promotion. Caffè Aiello aimed at the ambitious and far-reaching goal of coming to the European, North American, Australian markets, always keeping its peculiar identity of quality Italian trademark, in order to guarantee every day a very good coffee, wherever it is required. The year 2007 has been an important stage of this route. 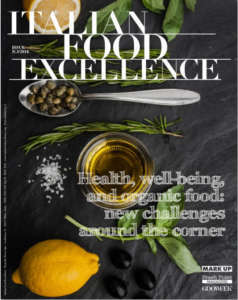 The owner tells: «It has been an important year for Caffè Aiello: the year of a new idea of communication - ‘I testimonial del gusto’ - that renews the image of the company and approaches it to a more transversal target, that includes young people too. Above all, 2007 has been the year when new products have been proposed: the new line ‘Casa Aiello’, that presents new products reinterpreting the taste of Aiello’s best tradition, ‘L’Espresso macinato fresco’, and ‘Crème Noir’, the first Pandoro with an espresso coffee cream». The history that continues and moves towards a more profitable future, richer in new products, is the one that is written every day by the second and third generations of Aiellos, who are setting out to conquer America, Australia, and… soon any other destinations?